Al Hail Orix Finance, the parent company of Sama, has announced the signature of a formal agreement and the formation of a strategic partnership with UAE-based award winning fintech payments company Monami Tech. 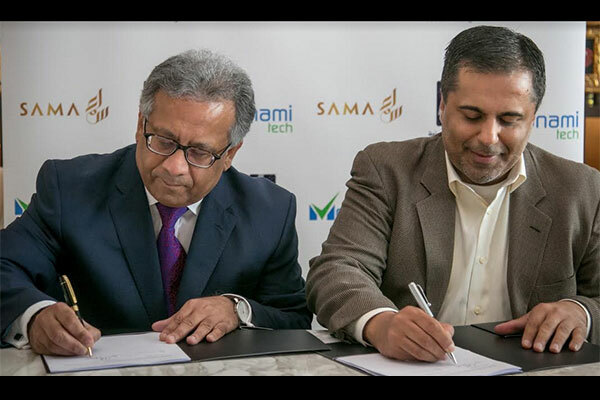 The primary aim of the collaboration is to deploy Monami Tech's technology for Sama’s business and consumer lending project. This initiative will be an integral part of Al Hail Orix Finance’s digital transformation with a full adoption of the platform now poised for completion. “Al Hail Orix Finance is now ideally positioned to become a leading digitally empowered financial institution in the country,” said Ammar Afif, managing director, Monami Tech. “As a fintech disruptor, one of Monami Tech’s major value pillars is the importance we attach to constant innovation. We created Lendme, a frictionless digital service for financial institutions to provide instant loans at the point of decision across multiple channels, from e-commerce to merchants, and through mobile application. “Digitizing lending upfront and as such avoiding overheads and lead times usually associated with activating a branch or retail footprint, will facilitate Sama’s speed to market and give them a decisive edge with consumers,” Afif added. “We work with institutions to bridge the gap between conventional and sophisticated services by utilizing a channel agnostic approach through modern digital solutions. As such we are delighted to be joining AL Hail Orix Finance on this journey and look forward to helping them realize their vision and deliver on their business objectives,” he concluded.